Secret 6 has had a great history of academic partnerships over the years, both locally and internationally. To this very day, we strive to teach and inspire the industry’s next wave. This year, the experience and expertise of our teammates were again made available as a resource for budding game developers and artists. 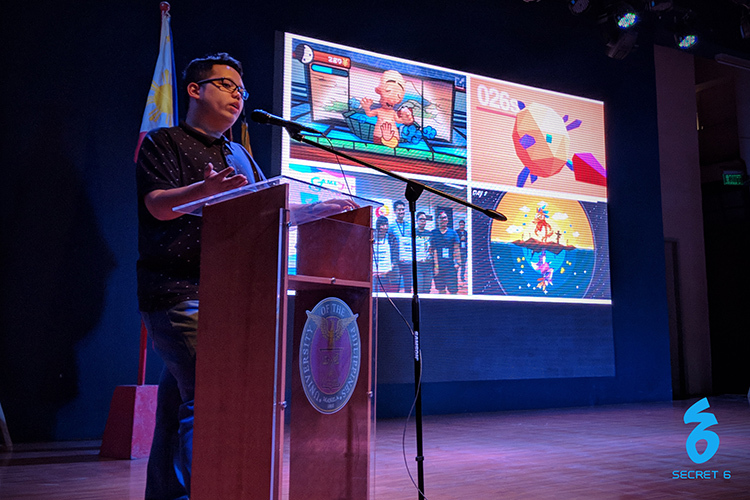 Here’s a look at our recent endeavors as we continue to strengthen ties with the academe and create a stronger talent pool for the Game Development industry in the Philippines. 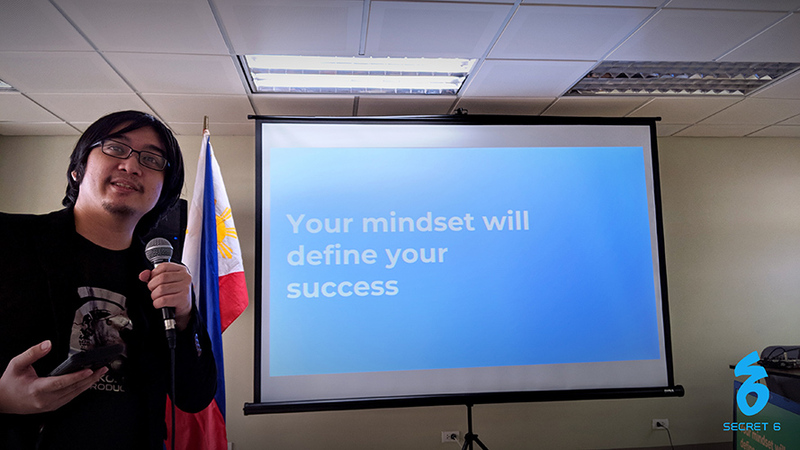 Just this 16th of February, our very own Ralph Quiambao, Head of Quality Assurance and Internal Operations at Secret 6, gave a talk at the Far Eastern University Institute of Technology about how to make the most of an internship opportunity. Entitled “You Are Qualified,” the hour and a half talk focused on how students already have the tools and basic skills to be successful as interns, but to come out of their internship as industry-ready game designers and artists, they have to know how to leverage said skills and make the most out of the experience. The speaker comes from over seven years of industry experience, translating his childhood love for gaming into a career where he not only gets to make games, but can also pave the way for future generations of game developers. Ralph’s remarkable career started with being an entry-level Quality Assurance Analyst and in a span of five years, becoming a Manager of two separate Departments and a board member of Aphondo, a subsidiary of Secret 6 specializing in QA services. He has been credited for his contributions in some pretty prominent projects: Yu-Gi-Oh! Duel Generation, Uncharted: The Lost Legacy, Shadow of the Tomb Raider, Just Cause 4 and many others. 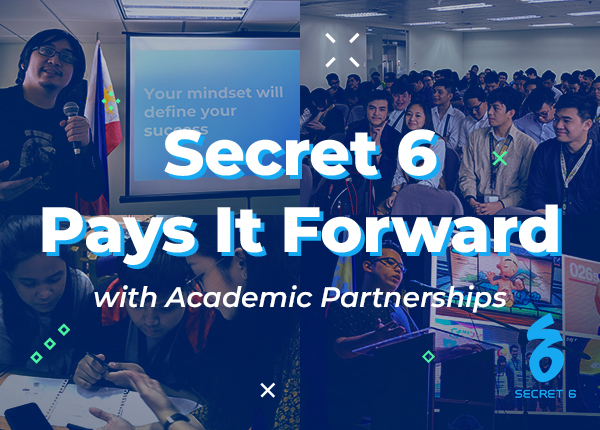 Secret 6 has had a good history of taking in not only interns but also full time employees from the immense talent pool at FEU. During his talk, an audience of nearly 150 students from Digital Arts, Animation and Game Development, and Software Engineering listened to Ralph as they prepared for their future internships that will help them secure the degree—and hopefully the career—they have been striving for. They could ask for no better guide. Overnight hackathons (such as the Global Game Jam) have become more and more popular recently, and we, in one way or another, have always had some involvement in some of the biggest ones. 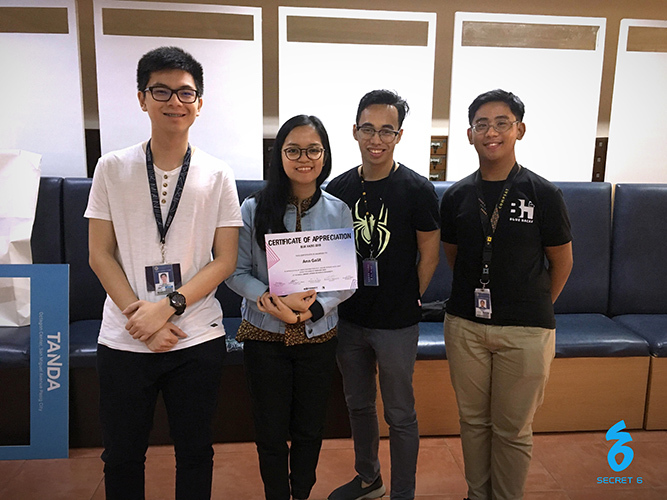 For this year’s edition of Blue Hacks, held through the weekend of the 23rd and 24th of February at the Rizal Library, not only was Secret 6 a Minor Sponsor for the event, but more importantly, a supportive ally to the participants. In the same spirit of developing a better talent pool for our industry, 2D Manager Ann Galit made herself available as a mentor for some participants, sharing her knowledge and expertise on the morning of the first day. 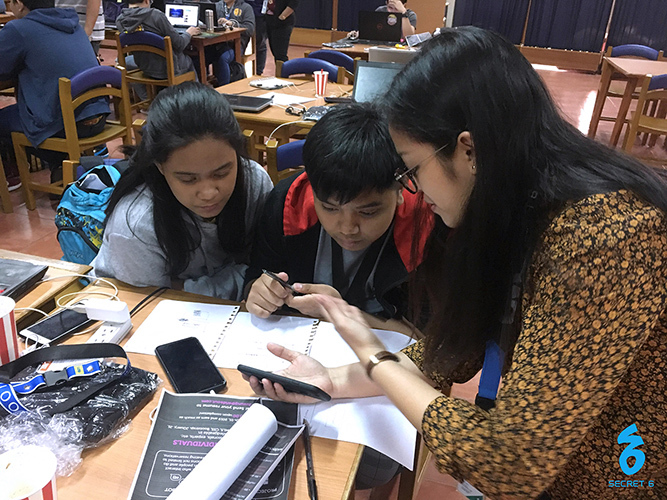 By sharing a tool that helped the students prioritize and highlight features in their app, she helped them make the most of the limited timeline—a must in time-bound hackathons. A member of the Secret 6 team since 2009, Ann started with us as a freelance artist, and eventually moved up to the position of Creative Lead, where she became pivotal in developing the structure and pipelines of the 2D Art department. With the team’s growth, Ann assumed managerial duties in 2014, handling a total of over 60 artists and animators. Today, she also helps in managing the 3D Art team for game development. During this year’s Blue Hacks, she paid it forward by making time to help teams brainstorm and develop their entries, and as their mentor, visiting teams to guide them in the creation of their system. With cash prizes and bragging rights at stake, the 24 teams who joined no doubt benefited and were grateful for having mentors such as Ann around. 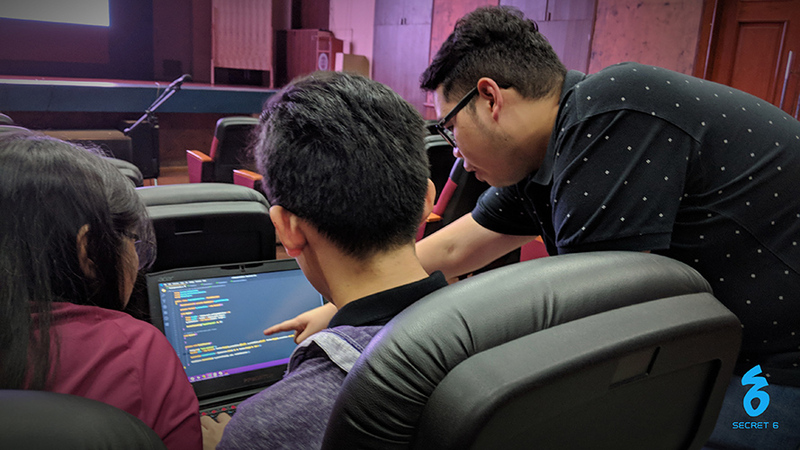 Organized by the UP Society of Computer Scientists (UP SoComSci), the Basics of Unity Workshop was held last 27th of February at the UP Manila Theater as part of their celebration of Tech Week. The intent of the week-long series of activities is to establish technology as a discipline that brings together like-minded professionals and enthusiasts in different fields and platforms. This particular game development workshop was designed to attract students who want a hands-on experience and lessons from the industry. The workshop included a talk on Secret 6 and the basics of the Unity engine, an hour and a half hands-on segment where the instructor and students got to remake an Asteroids game from scratch, and a two hour period in which the students can add their own custom features to the game they just made. 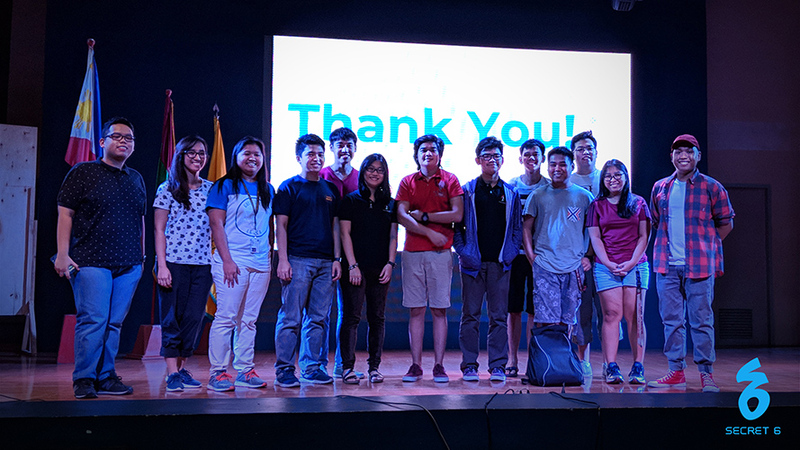 Secret 6 sent both Pat Carlos, Technical Development Lead, and Red Quito, Technical Developer and a UP Manila Alumnus himself. Pat was the main speaker for the day, leading the students through both the Unity lecture and the process of building a game application using Unity. He is a seven year industry veteran, and the solo developer of the mobile game, Bug A Bound. His work in game development led him to win an entry to Casual Connect Singapore in Game Jam 2015. The students who joined the workshop got some very focused lessons on Unity, and were able to produce good output in the games and features they made. Secret 6 was more than happy with the level of engagement and interaction the workshop produced, and is looking forward to work with more talents from UP Manila. By engaging with our academic partners, whether here or offshore, the Secret 6 team continues to feed its passion for sharing knowledge and experience with the game development and art design industry. Watch out for more of our engagements on Facebook and Twitter as we continue to pave the way for future teammates and members of our industry!